See more objects with the tag children, costume, opera, celebrity, amusement. This is a Paper doll. We acquired it in 1952. Its medium is lithograph on heavy white wove paper. It is a part of the Drawings, Prints, and Graphic Design department. Jenny Lind, often known as the “Swedish Nightingale,” was an enormously popular soprano opera singer. 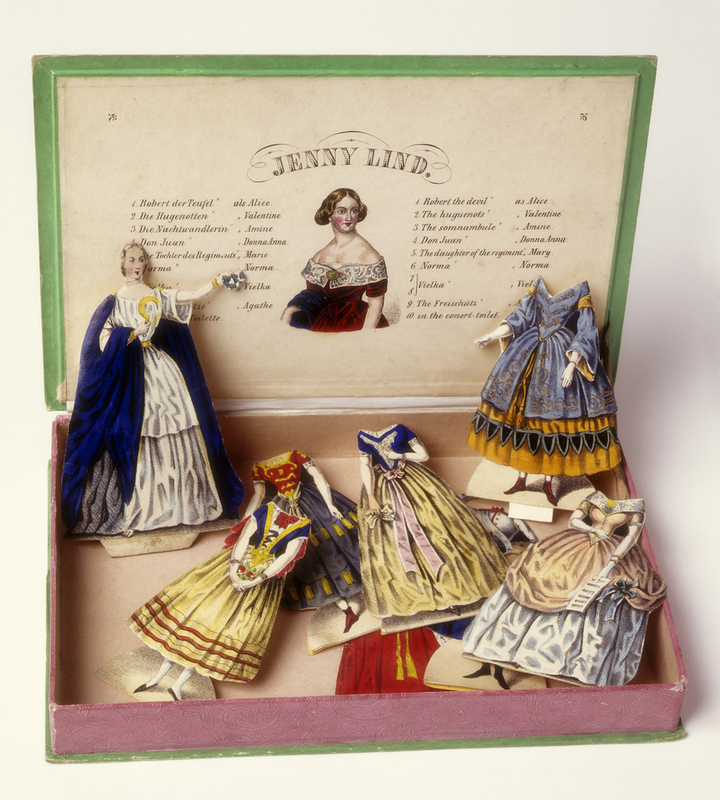 After establishing her career in Europe, Lind began an extensive American concert tour in 1850, which could explain the timing of the creation of this paper doll set. Each costume in this example corresponds to one of Lind’s operatic roles, allowing children to imagine the drama of her performance as they engaged in play. This object was featured in our Object of the Day series in a post titled Paper to Plastic: How Technology is Transforming Doll Design. 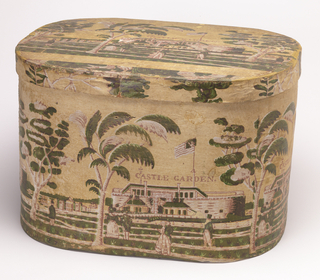 block-printed paper on wood support.